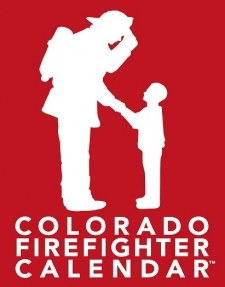 Founded in 2011 by a group of visionaries who wanted to do more for burn survivors in the community and raise fire safety awareness, the Colorado Firefighter Calendar is comprised of an executive director and volunteer board of directors who plan and produce the calendar, calendar events and child safety educational programs. Firefighters from around the state tryout to be in the calendar and volunteer time to raise funds, attend events, and educate children on fire safety. These men and women represent one of the noblest professions and the calendar serves as a tribute to firefighters and the people they serve. Net proceeds received from the sale of calendars and special events benefit the Burn Center and Burn Camps Program at Children's Hospital Colorado. Through sales of the calendar, special events, and other fundraising efforts, we have donated over $565,000 to Children’s Colorado since our inception in 2011. 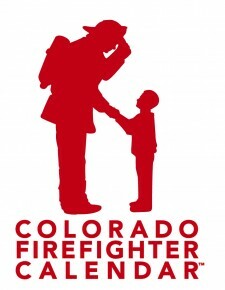 For more information on Colorado Firefighter Calendar, visit www.cofirefightercalendar.org. The HOTTEST event to kick off the summer has arrived! Join us on Saturday, May 13th at EXDO Event Center to help us select the hottest firefighters for the 2018 calendar. Firefighters from across Colorado will strut their stuff as they vie for a page in the 2018 calendar! Join us in the fun as they are introduced in the not-to-be-missed runway show! As always, net event proceeds benefit The Burn Center and Burn Camps Program at Children’s Hospital Colorado. It's for the kids! Oil down the Firefighters before the show! Oil down the Firefighters at the calendar photo shoot! Be a celebrity judge the night of the event and vote for your favorite! VIP Cocktail Reception from 6:00pm - 7:30 pm includes 2 "signature" cocktails, appetizers, swag bag, and meet & greet with models and alumni. Reserved front row seating. **Please note: VIP Seats - If you desire to be seated next to a particular person, please include that person's name in the comments to your registration. Please note that we cannot guarantee that we will be able to accommodate your request. VIP Cocktail Reception from 6:00pm - 7:30pm includes 2 "signature" cocktails, appetizers, swag bag, and meet & greet with models, alumni and celebrities. Reserved seating, not front row, in the VIP section during the show. ** Please note: VIP Seats - If you desire to be seated next to a particular person, please include that person's name in the comments to your registration. Please note that we cannot guarantee that we will be able to accommodate your request. Net proceeds benefit the Burn Center and Burn Camps Program at Children's Hospital Colorado!